Recommendation: A fitting movie depicting the key event of this festival, rounded up well with good acting, songs and script. Ganesh Chathurthi, the festival celebrating the birth and life of Lord Ganesha fell on September 5th in 2016. I was blessed to have my parents with me last year to celebrate the festival. 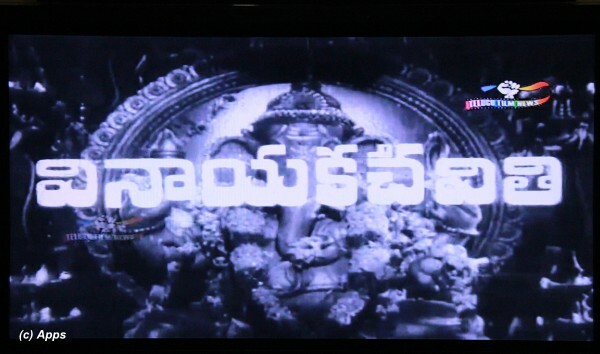 To honor this day, I picked the 1957 Indian Telugu hit musical film Vinayaka Chaviti (named after the festival itself) directed by Samudrala Raghavacharya. The story is based on the Syamantakopakhyanam - one of the stories read during the festivities of this day. More about the festival can be found here. However the festival falls in the month of Bhaadrapada in the Hindu calendar, usually in August or September in the Gregorian Calendar. Although every month the fourth day of the second fortnight is also known as Vinayaka Chathurthi for that month. The annual festival is however the biggest celebration. Anyway here is the review of the movie in question. The plot is in narrative mode being told for the viewers by one of the priest in a temple where the festival of Ganesh Chathurthi is being celebrated. The story covers on the aspects of how the birth of Lord Ganesha happens - not to forget the slaying of the Asura ( = Demon) Gajasura - the curse that Goddess Parvathi (portrayed by Suryakala) puts on Chandra (Moon God), the suspicion that Lord Krishna (portrayed by Nandamuri Taraka Rama Rao aka NTR) falls into after he had seen the reflection of moon and being blamed for the loss of the jewel Syamantaka, his fight with Jambavanta in retrieving the jewel, killing of Sathadhanva by Lord Krishna following his wedding to Satyabhama (daugher of Satrajit) and Jambavati (daughter of Jambavanta). Parallel tales of how Jambavanta comes into possession of Syamantaka Jewel, Why Sathadhanva is killed, why Gajasura is killed and why Jambavanta fights with Lord Krishna is also explained. 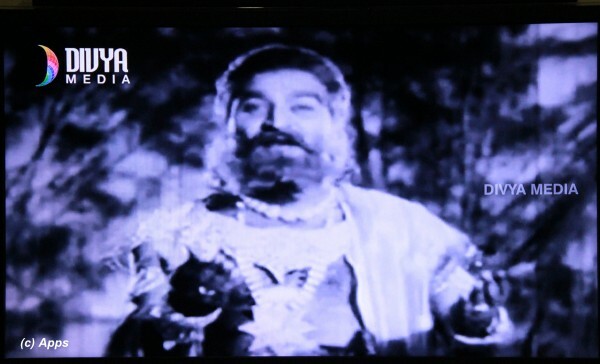 Krishnakumari portrays the role of Rukmini, Jamuna as Satyabhama aka Satrajiti aka Satyadevi, A. Prakash Rao as Narada, Gummadi as Satrajit, Rajanala as Prasena - brother of Satrajit and Nageshwar Rao as Satadhanva. The movie comes with 24 songs and poems. Music composed by Ghantasala. Lyrics penned by Samudrala Raghavacharya. Playback Singing was provided by a myriad of singers - Ghantasala, Madhavapeddi, M. S. Ramarao, P. Susheela, P. Leela, Rani, Pudatha Sarojini, Jamuana Rani, Satyavathi and Vaidehi. Pretty much all the songs have become famous and some are sung in day to day lives by folks as devotional songs. I always thought that Goddess Parvathi had cursed Lord Moon for laughing at Ganesha. However, the movie shows the curse being given by Ganesha and then on advice of his parents Lord Siva and Parvathi, Ganesha amends the curse to be effective on Ganesh Chathurthi day and also gives a remedy for the curse. Interesting twist. Again surprised to see Rajanala in a less important role in the movie when he was an established actor already. Introduction of Jamuna as Satyabhama is very interesting. For a whole song Kaliki Ne Krishnudane Palkaveme Bhama Nato she is not shown in the entire song until at the end. 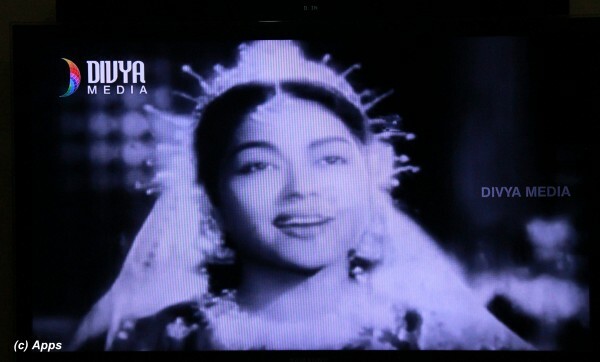 Sung by P. Susheela and A. P. Komala is a teasing tune between Satyabhama and her lead confidant and companion, although the clip below shows it incomplete. But the ultimate hit song from the movie is Dinakara Shubhakara Deva Deenadhara Timira Samhara pictured on Gummadi as Satrajit who is giving an ode to Lord Surya (Sun God) for a boon. Sung by Ghantasala this has become a hosuehold song to wake up to. Satyabhama is supposed to be strong and arrogant with a tinge of courage and lots of love. However she is shown weak and helpless with a tinge of craziness. The portrayal is different from what everyone knows about her. Wonder where did the director get this from. All in all a well-made movie with very good acting, timing of every flavor and sticking to the event from the epic as close as possible. 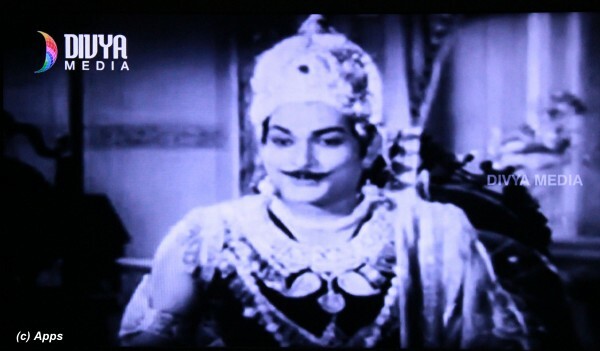 1) If you remember when I was posting the review of the 1967 film Sri Krishnavataram (Check my link here), I mentioned that NTR played the role of Lord Krishna 17 times in movies. This is one of those 17 movies. :) He is so young and bit leaner in this film considering it was filmed a full ten years before the 1967 film. 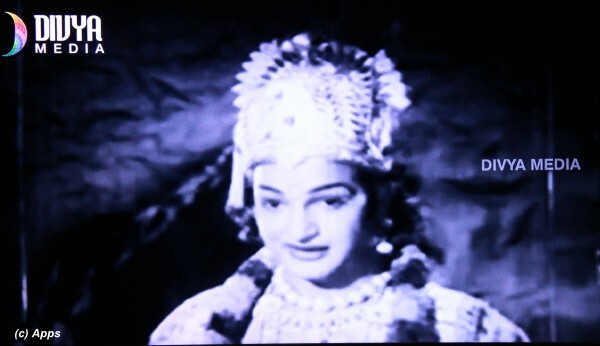 2) If you remember in the film Sri Krishnavataram, Krishna Kumar portrayed the role of Lakshana Devi - one of the eight wives of Lord Krishna, while in this movie she plays the role of Rukmini - another one of the eight wives of Lord Krishna. 3) Samudrala Raghavacharya was the Director, Lyricist and Writer for the movie. 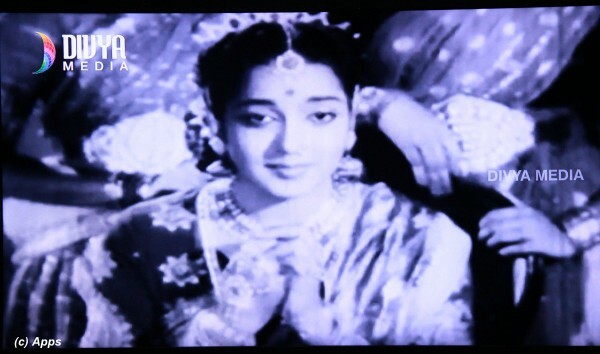 4) Krishna Kumari is so young in this movie, it being the initial movies of her career.